Ten ways to grow your business with your own coupons and vouchers. This deck of slides tells our story. This is an e-book (60 pages) of "How To." • Ten ways to grow your business with your own coupons and vouchers. • Some of the features of our Menu App. with your own coupons and vouchers. Coupons and vouchers are highly effective sales tools that are doubly effective if they are used within a strategy such as is evident in the ten ways below. The use of coupon advertising by big business is sweeping the country and we offer affordable online systems to level the playing field. Yes, we can be a key to your success with coupon and voucher marketing. Established customers buying more and more often by sharing feel good reviews that nurture appetites for value. 1. Do not dilute the value of coupon and voucher campaigns. a. Your customers will know a good deal when they see one. It could be a discount but it could also be value added by way of delivery, early opportunities to review new or sale items, etc. b. Canvas opinion on your coupon and voucher deals so as to create and maintain a reputation for offering desirable coupons and vouchers. c. Track redemption and gather positive and negative feedback to guide improvement. d. Junk coupons will do more harm than good. e. Coupon and voucher marketing done right can feed anticipation and the potential for the offer to go viral. f. You cannot expect success if you dilute the value of your offers. g. Offer less rather than more and ensure that there is value so as to create excitement around your campaigns. 2. Get to know your customers. a. Know what your customers appreciate, want and need as it is these matters that create value. b. Seek to know exactly why customers return. Is it the food, the parking, the service, ambiance, etc.? 3. Research the triggers to action. a. Researching the triggers or drivers to value is a key to success in any coupon campaign. b. Are there only underlying drivers or are there impulse triggers? c. What would make your business more attractive to customers? d. Perhaps it is a guarantee of prompt service to theater goers or to luncheon diners? e. Try asking customers for their opinions which you analyze for trends in satisfaction and value. f. A well-timed SMS on the Chef’s special on a Saturday night could just get diners to change their plans. g. SMS, Email and an App are specialist communication channels that need to be measured for audience appetite and effectiveness. a. If you nurture the loyalty of your existing customer database they will, through referrals and reviews, attract the attention of their friends and business connections. b. Do you have an opt-in email and SMS database of your loyal customers? c. Knowing who they are is a critical but often overlooked first step to coupon and voucher marketing. 5. Assist customers to advocate your business. a. For customers to become your advocates you need to ensure their satisfaction and you need to give them something that they appreciate and which makes them feel special. b. In return for a review, try rewarding a customer with a coupon that they can gift of a voucher for the reviewed dish so that they can send it to a friend. c. Consider splitting standard 2/4/1 deals. E.g. A customer thoroughly enjoyed a main course meal which was paid for and submitted a review. Reward the customer with a prepaid voucher for that same main course for them to send to a friend with their recommendation to excite their taste buds!. a. Give something of value, like a coupon, which customers can easily send to family, friends and colleagues. b. It is important to grasp the value of giving something that is designed to be a gift. c. Offer coupons that promote gifting by recording the details of the giver and the recipient on the coupon or voucher. d. The value of a coupon escalates when it is sent to a friend by one of your customers. a. Maintain your commitment to building your opt-in databases by promoting the benefits of signing up. b. With dedication to the task a sense of community will start to form and individuals within the community will, if you make it easy to do so, share opinions and reviews. c. Regard a sale as the start of your promotion, not the end! d. Consistently engage and share news and the opportunity to enjoy specials. e. With time and relevancy your notifications will spark dialogue and build loyalty. 8. Actively promote and reward social media sharing. a. Build your community by optimizing for social media sharing and research keyword rich campaigns that tell your story or better still tell user experience stories. b. Where possible use video as it is an effective media for storytelling. c. Promote a branded #hashtag for comments and image/video sharing and reward participation with coupon and voucher rewards. 9. Actively promote and reward product and service reviews. a. Invite your community to communicate on your blog and make it easy for them to share reviews and to share links on social media sites. b. Maintain customer account portals where customers can review, update and edit their product and service reviews. c. Offer coupons as an incentive for sharing reviews and ideas. d. If it is easy to do and there is an incentive to do so the likelihood of reviews being posted will get a huge boost. e. Coupon Menu Apps that make adding reviews easy and which identify customers makes it easy for you to reward them for sharing with a coupon or voucher. 10. Actively promote and reward with incentives to attend events. a. As your community grows use coupons and vouchers to promote events that are designed to get your community to invite friends and colleagues. b. We are all familiar with the buy one get one free offer but how often do you see, say an offer to buy eight main courses and get your starters free or an offer to book a table for 10 and get the entrance cover charge waived for the monthly sing along night. Click here to review the rest of the slides, an example of which is below. You will see that every menu item has links to read more information. Every coupon and voucher has a call to action button. An Add a Review and Read Reviews option is offered for every menu item. Information, Action, Reviews and Social Sharing are a single click away. Online and print coupon redemption are optional. 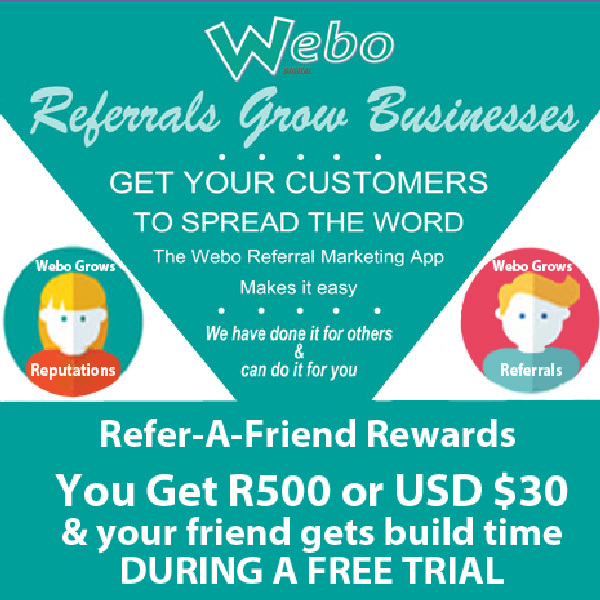 GET Webo Vouchers in a week and start reaping the benefits. The choice is yours we have a free to you option and an all in managed free coupon and voucher offer on our R970 pm plan. 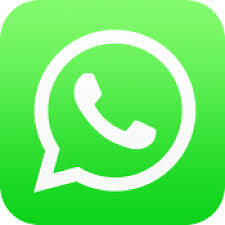 081 328 26 48 or email: 247@webo.co.za We're online & open seven days a week. Scan the QR code below or link to www.restaurants3.webo.directory to open the App illustrated below.